Although 2011 has been a year where automation took a leap forward in several Latin American countries and even in Europe, the first half of 2012 will be marked by a greater number of manual elections. In this installment we shall remember the advantages of electronic voting, especially to ensure transparency in the elections. The electoral pace will be set by Venezuela, where the “Mesa de la Unidad” (MUD) will celebrate its primary elections to be held on February 12, 2012 to determine the presidential candidate who will represent the MUD in Venezuela’s upcoming presidential election to be celebrated on October 7, as well as their candidates for the upcoming regional and municipal elections of December 2012 and April 2013 respectively. These would be the first open presidential primary election in the history of Venezuela, and will be facilitated technically by the National Electoral Council. Russia will elect its nation’s president on March 11, and the background is not all positive. After a mid-year trial of electronic voting in some provinces, the legislative elections on December 4 were performed using the manual method and were engaged in loud complaints of election fraud. With this scenario, the nation is headed next year to a presidential election. Also on March 11 parliamentary and municipal elections will be held in El Salvador, where manual ballots will be used to choose 84 deputies to the Legislative Assembly and 262 mayors of the municipalities. This event will be take the form of “residential voting” which will cover 48.8% of the population that makes up the electoral register, with the intention of bringing closer the polling stations and polling boards. In addition, they will implement the participation of independent candidates, and will include pictures of the candidates on the ballots. In the case of manual elections, the procedures are recorded on paper and handled 100% by the citizens, so security provisions tend to be focused on the physical safety of the electoral kit. Irregularities often arise such as the alteration of electoral material, loss or damage, impaired movement and exposure to human error. The automated voting system settles many problems that the manual method has accumulated. The automation involves the auditability (so that the system can be assessed in all its phases) and provides technological alternatives to recognize fraud attempts. It also ensures safety in the tallying and collection of results, and eliminates a large percentage of human error. France is another country that will face two major elections in the first half of 2012. On April 22 the election of the president will be held and the second round is set for May 6. Later, in June specifically, the first round of legislative elections will take place, and the second round is scheduled for June 17. However, one case that will draw attention next year will be the presidential election in the Dominican Republic, an event to be held on May 20, 2012. This Central American country has several years at the crossroads towards electronic voting. After multiple attempts and the denial in 2006 of the implementation of the pilot plan, they are working on the possibility of automating the tallying for the presidential election in the May 20, 2012 and automating the entire process for the elections of 2016. After several setbacks, the president of the Central Electoral Board of that country, Roberto Rosario, announced earlier this year that the tallying and consolidation of voting records for the Dominican presidential election of 2012 would be automated and also simultaneously received by political parties, civil society organizations and the media who want to disclose it to the public. This will be a step towards full automation of the elections in that country. 2011 has been a year of introducing electronic voting for many nations. This is the case for Peru, Panama and Malaysia. Other countries evaluate its viability such as Uruguay, where political actors argue that while the current model is recognized for providing guarantees, they realize the need to modernize several related processes to improve the security and speed of elections. The automation promise remains for the Dominican Republic’s presidential election to be held on May 20, 2012 and for Mexico with the entire infrastructure and some trials, but awaiting the decision of the Parliament to analyze whether to apply automation to the presidential election of July 2012. There is also the outlook in Argentina, where several provincial elections have been held through automation, but the scene has not yet fully coalesced for the presidential elections. And there is the eternal case of Colombia, where it has been proven that manual voting can work in a presidential election, but it can become a true disaster in legislative elections. On November 20 of this year, three weeks after the Colombian regional elections of October 30, 2011, the names of the elected mayors of six municipalities were still unknown, and further yet, until the 13th of December (almost two months after the election) the composition of the council and local boards in Bogotá were still not established. 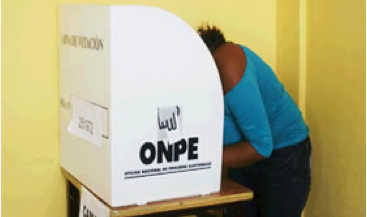 In the case of Peru, on June 5 the system designed by the National Office of Electoral Processes (ONPE) was put to the test, to comply with the 2005 Law #28581, which ordered the gradual and progressive automation of elections. The first experience with electronic voting was small but with positive results. The province of Cañete, in the Pacarán district, was the selected location to deploy the first automated Election Day, for which three poll places were equipped with voting machines provided for 1354 citizens to exercise their vote. The results of the count were obtained 30 minutes after closing, and the count of the vote receipts an hour later. Panama also joined the Latin American elite with automated elections, and also became an example of inclusion for the region and the world by selecting an indigenous county as the first location to use the electoral technology to vote. The decision of the Electoral Tribunal (TE) was that the Shire Bugle-Ngäbe voted to elect the Chief General, three Regional Chiefs, seven local Chiefs and Special “Buglé” Chief, through the electronic voting system designed by the agency and in order to extend its application to the whole country starting in 2016. 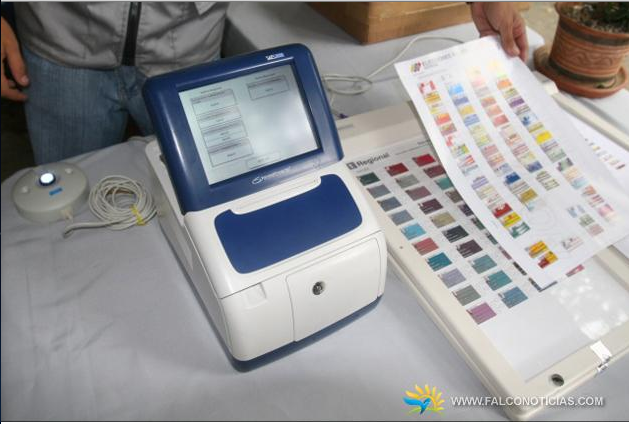 In Honduras, the Spanish company Indra made a speech before the Supreme Electoral Tribunal (TSE) of that country and to political parties, about the “goodness” of electronic voting. On the other hand, problems with voting duplicity and identity theft led Malaysia to adopt the technology that fully ensures the identity of voters using biometric technology, which is, using fingerprinting to confirm the identity of the voters on Election Day. 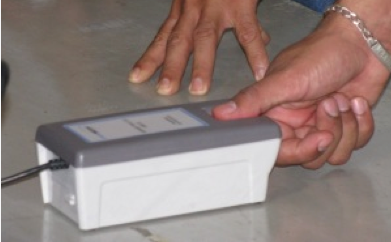 And in Venezuela, although this year no elections were held, the country’s National Electoral Council proposed to incorporate the Integrated Authentication System (SAI), a mechanism provided with fingerprint readers (biometric identification) that allows that the voting machine can only be unlocked with the fingerprint of the voters registered to vote in that table. After seven years using the automated system provided by Smartmatic, the Venezuelan National Electoral Council began a project to modernize the technology platform. National Electoral Council authorities justified the investment, reaching some 116 million bolivars. The South American country will hold their primaries for the opposition parties on February 12, 2012, out of which will come out the strongest opponent of President Hugo Chavez, who in turn will run for reelection in the presidential elections of October 7 next year. Ecuador, Nicaragua, Russia and Colombia are among the nations that hold elections with a manual voting system. The experiences have spoken for themselves. In all cases there were allegations of fraud and of delays in the delivery of results. There is virtually no area of human endeavor where technology does not provide solutions. And as part of the most advanced systems to optimize decision-making, electronic voting has come to shareholder meetings, speeding up the process, and what is best, allowing those who are called upon to vote, to do so safely no matter where they are. 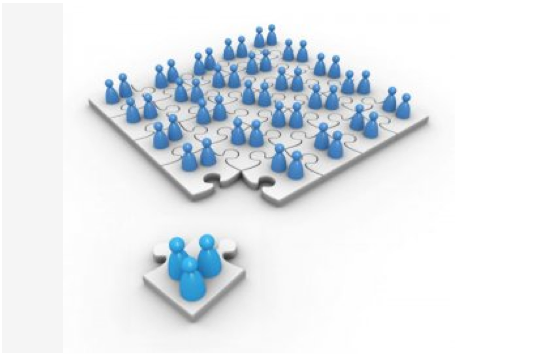 The idea was born at the beginning of the decade of 2000 in Spain, and was promoted in enterprises of all sizes and levels; in order to open a business opportunity that encouraged companies engaged in voting technology, to design a system that would cope with the needs of the business world. Also in 2003, a law was passed which directed its use. Thus, nowadays there are software offerings that enable shareholders to vote remotely (via Internet) and in real time, using a public electronic signature or one recognized by companies’ internal systems. It is also possible that executives may vote through their mobile phones. This field of e-voting is just beginning to take shape, since equally to the citizenship or the political leadership, which showed resistance when subjected to modernize their election system, many companies have not yet been persuaded to change their voting schemes. Research in the field has found that, unlike automation for constitutional elections, fears are not related to violation of the secrecy of the vote or fraud in the results, but are framed within the certification of the identity of the shareholder. This obstacle keeps the application of e-voting lagging, due to high of shareholder turnover -stocks are sold and bought daily- makes it difficult when in a meeting, to know exactly who is entitled to vote. The use of electronic signatures is now the most functional solution found by experts to overcome this obstacle. However, as in electoral systems of democratic countries, the implementation of corporate electronic voting happens because the will of each corporation is able to implement a system where databases are updated with the frequency required to ensure proper identification of shareholders. This interesting branch of electoral automation is just beginning, but sheds light on how the electronic voting is overcoming barriers, not only in the field of constitutional elections, but also in business, where although the democracy of a country is not at stake, the survival of companies is put to test, and with them millions of jobs.